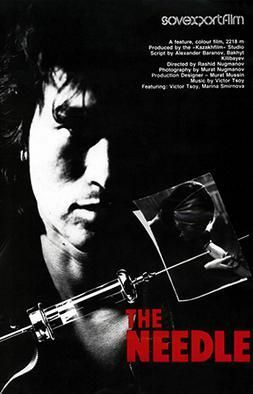 The enigmatic drifter known as Moro (Viktor Tsoi) comes to Alma-Ata to extract a debt from a lowly criminal known as Spartak. Moro finds his ex-girlfriend, Dina, who lets him stay in her apartment. After he meets Spartak in a cafe known as "Parliament", Spartak is revealed to owe a lot of people money. Moro also finds that Dina's employer, the surgeon Artur (Pyotr Mamonov), is supplying her with drugs and using her apartment to store morphine. In an attempt to help Dina, Moro takes her away to the Aral Sea, where they've been to years prior. However, the sea is already a barren wasteland by the time they arrive. After a few weeks, Dina seems cured, but after they return to the city, everything starts anew. Almost desperate, Moro successfully fights off the drug dealers, sees Spartak go into a state of hysteria, and turns Artur's people against him. The film ends with Moro being stabbed by one of Artur's thugs in a snowy park, as he walks back home to Dina. Moro's fate from then on is unknown. Read more on Wikipedia.